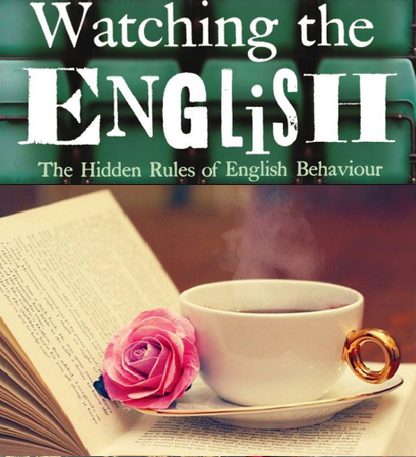 about the international bestseller “Watching the English”. Fox has spent 10 years researching English life. She even spent several days bumping into people in London to see if they apologised. Most of them did, although the experiment began badly because it took Fox some time to avoid apologising first. So, what does she reveal about Englishness? That we place a high value on modesty, fair play and a sense of humour. That we enjoy a moan, that we are awkward in company, and have a cynical, no- nonsense approach to life. Instead of “I know my rights”, Fox’s typically English phrase is “Oh, come off it”. Is any of this really new? Oh, come off it. Her book is a delightful read, but there are few surprises. And why should there be? Fox researched for 10 years, but many of her readers will have been conducting their own observations for a lifetime. They will already know that upper-class households have shabby furniture, and that petunias are naff. The book is packed with detail, and they write about the French with affection. It should be handed out to every English family doing up a little place in the Dordogne. It’ll help them settle in, especially if they bring a few copies of Watching the English as presents for the neighbours. If you didn’t book a summer language course for your child (or yourself) don’t miss the hot deals from our exclusive language schools this summer! « Oxford University interview questions: Would you pass the test?